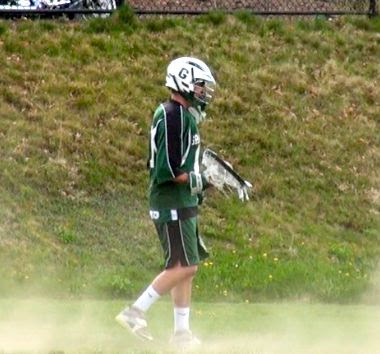 Eric Thompson is just one of Grafton's two quality senior goalies. We saw a major shakeup in our Power Rankings for the first time this season. With Grafton's dominant victory over up-and-coming Nipmuc and beaten-up Algonquin's loss to Eastern Mass power Hingham, the Indians have jumped past the reigning champs for the No. 2 spot. But, the T-Hawks won't have to wait long for a shot at Grafton, as they host the Indians this Thursday. An absolutely huge win keep St John's at the top. After falling to Eastern Mass foes St. John's Prep (Danvers) and BC High, the Pioneers scored the best win of any CMass team this season when they knocked off ESPN Boston's No. 5 team in Massachusetts, Xaverian Bros. Their win over one of the best teams in Eastern Mass not only entrenched the Pioneers as the best team in CMass, but turned some heads around the state. Are the high-scoring Pioneers suddenly a state tittle contender? Meanwhile, Shrewsbury took care of business against North Middlesex and survived a scare at home against Nashoba to stay in the fourth spot. Westboro makes its debut in our top-5, both because Nipmuc fell 11-0 to Grafton, and because they've won six of their last eight after a 1-2 start. One of those early season losses was at Shrewsbury, but Westboro will get a shot at revenge this Tuesday at home. New coach Tom Baker seems to have the Rangers going now, as Westboro played both Algonquin and St. John's to the wire, and has defeated everyone else in their path this last month. Nipmuc is still a force to be reckoned with, but you just can't lose 11-0 at home and not drop down. In Midland B, Littleton topped Tyngsboro 7-6 last week to prove its legitimacy among small schools, and Blackstone Valley Tech hasn't lost since its season opener. Still, the Beavers face a tough rematch with Assabet this afternoon. The T-Hawks are a little beaten up, but I would still expect this rematch of last year's Central Mass title game to be a great one. Grafton has evolved from a two-man show centered around All Americans Tyler Reilly and Bryan Rotatori last season, to a complete unit capable of winning CMass this season. It will be on Algonquin senior goalie Giles Ober to keep the T-Hawks in this one, as they simply haven't shown the scoring punch this year that Grafton has. Still, if it's a Central Mass game, I wouldn't count Algonquin out. They have won 36 in a row against Central Mass foes. Like I said above, the Colonials got the best of the Rangers in the season's first week, but don't think that 12-3 beatdown Shrewsbury put on Westboro will be repeated this time around. The Rangers have come a long way and haven't allowed a team to score more than eight goals since that loss to the Colonials. Shrewsbury, meanwhile, remains one of the best defensive teams in the region, surrendering just under 4.5 goals per game. Expect a great defensive battle in this one. St. John's scored the biggest win in the region this past week, and did so on the back of one of the best performances the entire state has seen this season. Pre-season All-State attackman Drew Smiley went bonkers on Xaverian Bros, scoring six goals and dishing out three assists in the Pioneers' 11-8 victory. Coming into the year, we knew Smiley was one of the region's premier athletes, but it looks like he is putting it all together. And, along with Josh Freilich and Hunter Burdick, he has helped build one of the scariest attacks in the state.